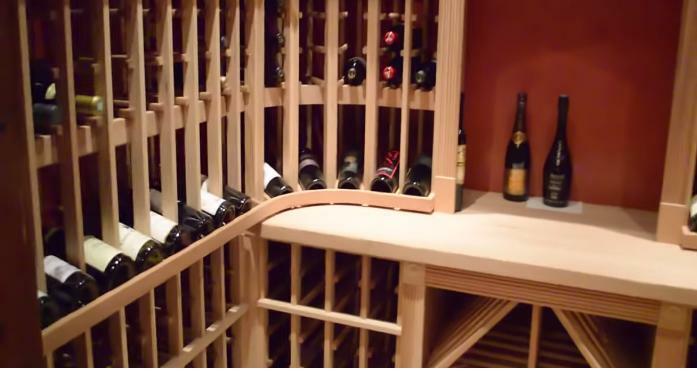 Retrofit Your Wine Cellar Cooling System? We Do It All The Time! It is vital that your wine cellar cooling system is always functioning properly for you to make sure that your wines are kept in the ideal storage conditions. For you to be sure that your cooling unit is operating efficiently, you need to have it maintained regularly. A recent service call from a client in Irvine, Orange County, California to repair a leaking wine cellar refrigeration unit is an excellent example why you need to have a maintenance plan for your cooling system. People who have been collecting wine for a long time know how important it is to provide the ideal storage conditions for wines. Without the ideal temperature and humidity, wines cannot age properly and can go bad easily. In order to preserve their quality, you need to keep wines in a cool environment. The temperature should be around 55 degrees Fahrenheit with minimal to no fluctuations. Fluctuations in temperature caused by the change in seasons are not a big concern because they are usually gradual. The problem comes with rapid fluctuations. If this happens daily or weekly, wines will age prematurely. Ideal wine storage conditions should also not be too dry and not too damp. A humidity of around 70% is needed. If the humidity is too low, corks will dry out and shrink. If it is too high, mold and mildew might form. A prudent wine collector makes sure that the ideal wine storage conditions are provided by investing in wine storage room essentials such as a durable wine cellar door, properly installed insulation and vapor barriers, a wine cellar lighting system that produces minimal heat, correctly installed wine cellar flooring, and of course, an efficiently functioning wine cellar cooling unit. Without a good wine cellar refrigeration unit, no wine cellar, no matter how well built, can provide the temperature and humidity needed for storing wines. To keep your wine collection safe, constant changes in the climate conditions inside your wine storage system should be avoided. This implies that your wine cellar refrigeration unit should always be functioning properly. There are times that you won’t notice any overt damage in your Irvine wine cellar cooling unit. And if there is any concealed damage, like a leak you won’t realize it’s there until the unit begins to function irregularly. By then, the damage to the unit will be too extensive for repair. 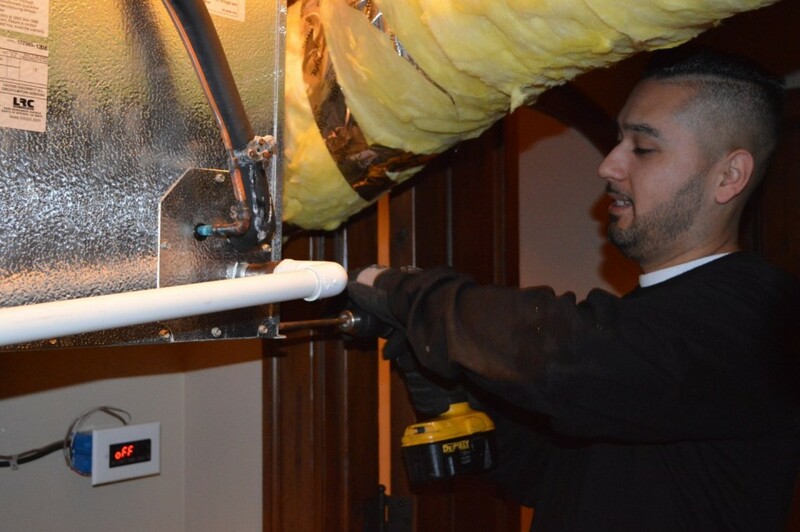 Regular maintenance should be done on your wine cellar cooling system. Having it maintained regularly not only keeps you updated on the condition of the unit, detecting any damage or leaks, but also ensures that it is constantly functioning efficiently to preserve your wine collection, preventing any fluctuations in climate conditions. To avoid this, it is imperative that wine collectors seek the help of a wine storage expert and subscribe to a maintenance plan for their wine cellar refrigeration unit. Recently, a service call was made to a client in Orange County, in the city of Irvine, to repair a leaking wine cellar cooling unit. The unit was an HS 4600 System manufactured by US Cellar Systems, which was a robust piece of equipment, fully capable of cooling the client’s small wine storage room. We found a leak in the unit’s refrigerant, and we fixed it accordingly. Although the unit was providing the right conditions amidst the leak, it would not continue doing so if the damage was left unattended. The client was fortunate that the problem was identified early and addressed immediately. This case is one of the best examples of why it is necessary to have a maintenance plan for your wine cellar refrigeration system. Part One – In this video we cover a wine cellar service call in Irvine Orange County California. 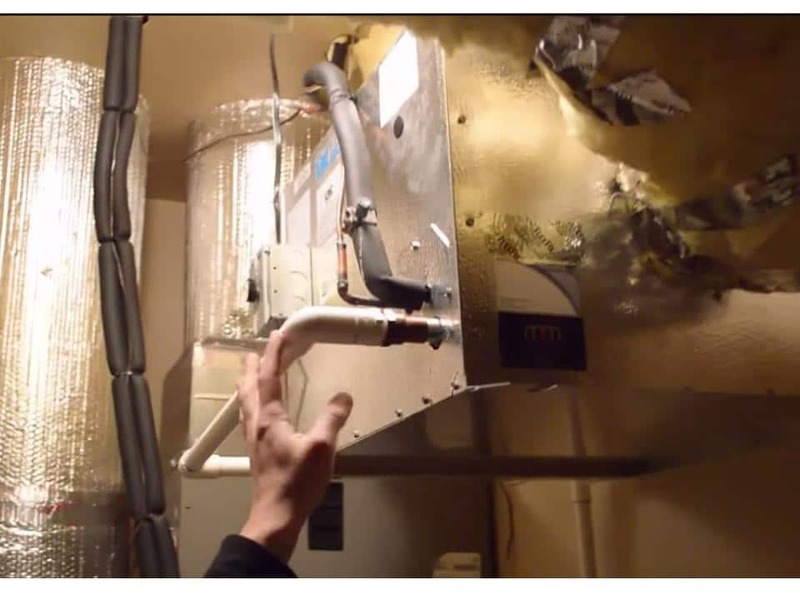 We take a look at a not so common problem, where we have a significant refrigerant leak. This is “part one an instruction to the wine cellar and refrigeration system”. 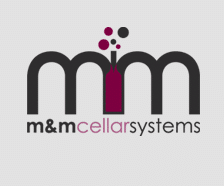 M&M Cellar Systems – Reliable Partner for Your Wine Cellar Cooling Needs! Have your wine cellar cooling unit maintained regularly so that you can detect any problems early and have them fixed as soon as there is a problem. A regular maintenance plan can help you make sure that your refrigeration system is always functioning well, and thus ensure the safety of your wine collection. 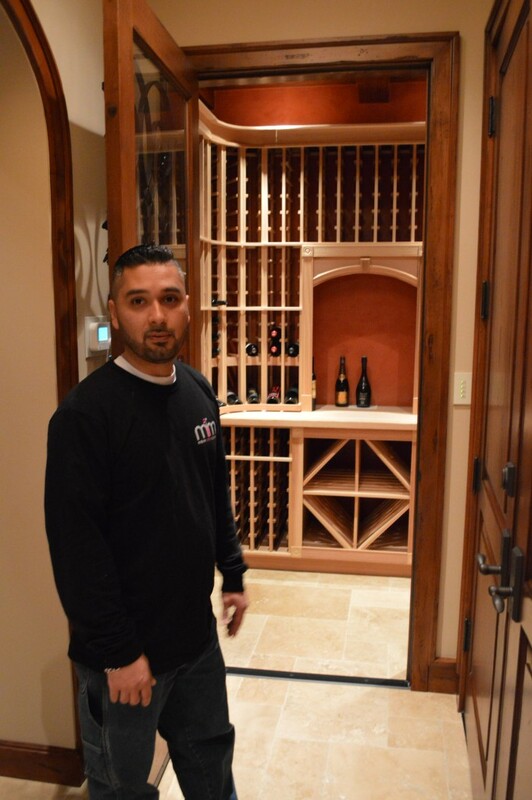 M&M Cellar Systems is a trusted wine cellar refrigeration systems construction company with years of experience in HVAC refrigeration, heating installation, and servicing. Our company specializes in the design and installation of climate control systems that wine storage needs. We provide wine cellar refrigeration systems for individual home owners, commercial developers, and wine cellar builders. M&M Cellar Systems also teams up with wine cellar dealers to help them provide a complete wine storage solution to their clients. For more information about M&M Cellar Systems, and their products and services, call them today at (323) 578-3330!